Works so well thanks to the excellent cast and their on-screen chemistry as each of the couples: Jason Bateman and Rachel McAdam; Billy Magnussen and Sharon Horgan; Lamorne Morris and Kylie Bunbury just work so damn great together. Throw in Kyle Chandler, Jesse Plemons and Michael C. Hall - well, there you go. The premise is also outlandish while throwing in a few, fun twists. If you want a comedy with just a bit of an edge to it, you won't find much better. 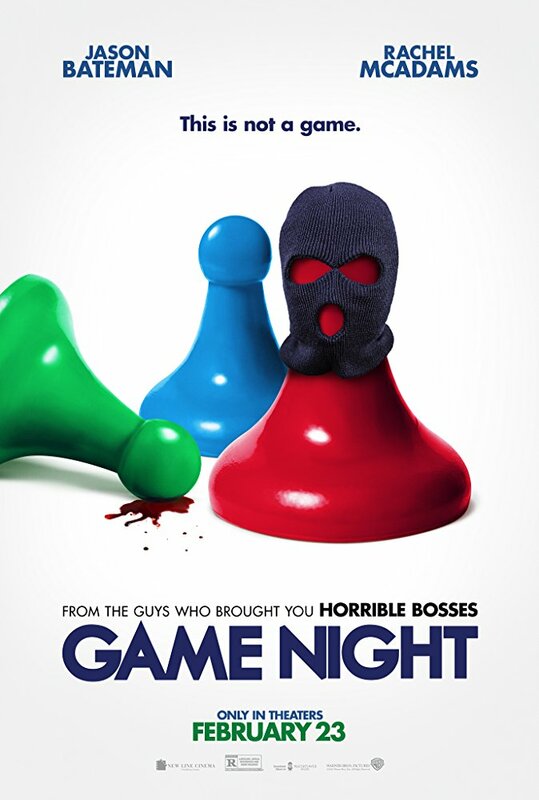 Game Night is a thoroughly entertaining and genuinely hilarious dark comedy, directed with great style and creative energy by John Francis Daley and Jonathan Goldstein. Jason Bateman and Rachel McAdams make an incredibly engaging on-screen comedy duo, and the hilarious Jesse Plemons steals every scene he's in. Funny dark comedy with a good cast. No posts have been made on this movie yet. Be the first to start talking about Game Night!